This photograph of The Priory in Castle Street Thornbury was taken in 2011. The Priory is the white part of the building. 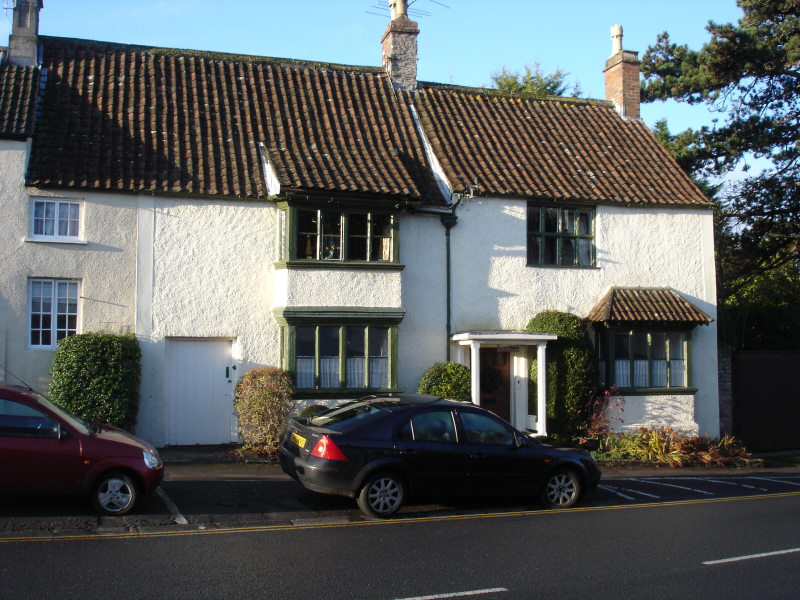 The earliest records that relate to the property indicate that it and the house next door (now known as Clematis Cottage) were once part of the same house. Clematis Cottage was once known as the Green House and we believe that this is true of the Priory. Until the house was owned by the heirs of John Crowther the history of The Priory is the same as of Clematis Cottage. On 11th January 1808 John Crowther made a will in which he left his property to his wife for her life time and then after death it was to be divided. Half was to go to his sister’s daughter Betty Smith. 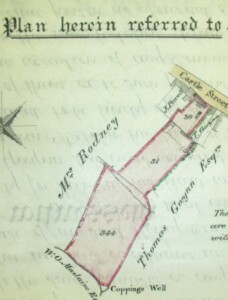 This property included a house and two gardens and a yard and closes of land that were in the occupation of Henry Baker. The Smith Family. Betty Crowther, the sister of John Crowther, had married Thomas Tombs in 1741. 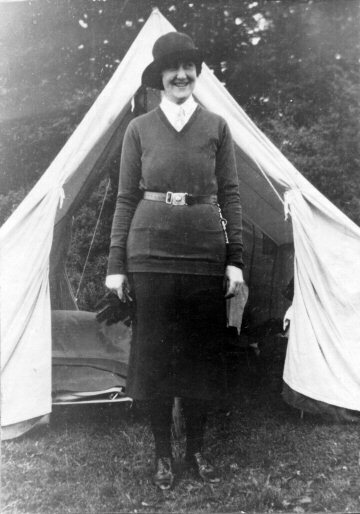 Their daughter Betty Tombs married Benjamin Smith. They appear to have had at least five sons; Benjamin junior, Thomas, James, Alexander, and John. “All That messuage or tenement with the carpenter’s shop yard and garden and outbuildings thereto adjoining and belonging now in the occupation of Thomas Smith as tenant thereof. And also all that stable adjoining thereto in the occupation of Charles Jones. And also all that close piece or parcel of arable land formerly divided into two closes and called or known by the name of the upper and lower close containing three acres one rood and six perches (more or less) with the barn thereon standing and being in the occupation of Robert Olive which said messuage or tenement close of ground and other hereditaments yards” etc. Read more about the Smith family. Adrian Stokes. We do not know why Adrian Stokes acquired The Priory. He may have been mainly interested in the land that was acquired with it or he may have wanted the Priory either as a rental property or as a temporary home while Stokefield House itself was built. “All that messuage or tenement with the carpenter’s shop yard and garden and outbuildings thereto adjoining and belonging now in the occupation of Thomas Smith as tenant thereof. And also all that stable adjoining thereto in the occupation of Charles Jones, ” ( the property is now known as The Priory). 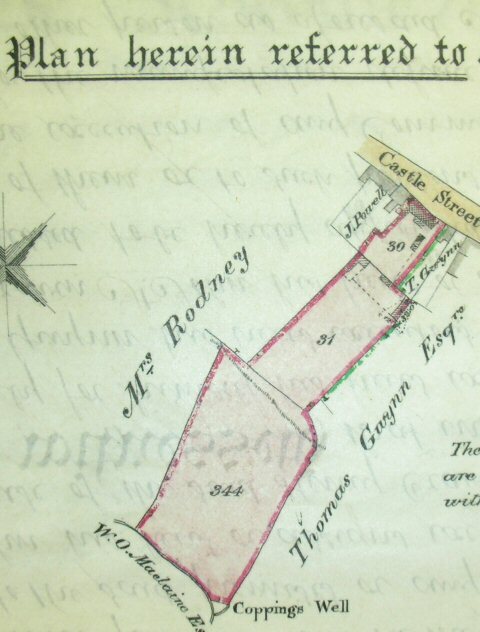 The land tax records from 1822 show that Adrian Stokes was paying 6/- land tax for property which appears to include The Priory and the land attached to it. On 30th February 1854 Sir John Key and those holding the mortgage sold to John Powell the house that is now called The Priory for £215. When it was sold it was said to be a property in the occupation of Thomas Smith for many years then of George Nelmes the school master and now of John Powell or his under tenants. John Powell was the son of a mason called William Powell. John bought The Priory on 30th February 1854 and raised mortgages against this purchase in February 1855 and on December 18th 1861. On September 14th 1859 John Powell sold to Eleanor Rodney the workshop and a small section of the land associated with this house. The thumbnail photograph on the left is taken from a plan of a sale agreement dated 29th March 1869. It shows that at that time The Priory was still owned or at least occupied by J Powell. Read more about John Powell and his family. Georgina Isabel Jenkinson was the next owner of The Priory. She was born on 10th April 1899. The 1901 census shows that at that time Georgina was living at Eastwood Park with her parents George and Madeline and their considerable household. The marriage of this pair seems not to have taken place but we do not know why. In fact we believe that neither Georgina nor Edward Ripley ever married. Georgina Jenkinson lived at Clouds with her mother after the death of her father. After her mother’s death in 1927, she bought The Priory at 17 Castle Street. The trade directories and electoral rolls show that she continued to live at The Priory until at least 1961. The Gazette 12th March 1938 shows that Georgina I Jenkinson of the Priory was the director of a new Gloucester company called Broiderers (Gloucester) Ltd. The firm was registered to take over the business of embroiderers carried on at 20 Westgate Street Gloucester. We have no further information about this company. The register compiled in 1939 in the advent of war shows that Georgina shared her home with two domestic servants Jennie Gale and Sarah Sargent born 27th November 1857 who had been a child’s nurse and now was a complete invalid. In 1961 the electoral roll said the house was occupied by Georgina Jenkinson and Donald and Patricia Findlay. We do not know anything about the Findlays. Georgina died on 3rd December 1977 aged 78. In 1975 The Priory was occupied by Charles Gasson and Susan Fane de Salis, whose husband had died in 1973. Elizabeth Cochrane, the daughter of Susan Fane de Salis, says that Mr Gasson was a paying guest who came for a fortnight and stayed twenty years. 1980 the electoral roll shows that number 17 (The Priory) was occupied by Charles Gasson who had previously lived at Fairfield House, 58 Castle Street.